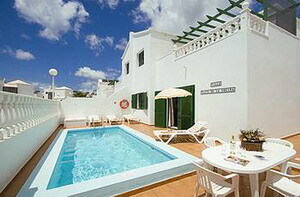 The Villas Bocaina are located in the popular resort of Puerto del Carmen, Spain, on the southern coast of Lanzarote, within 400 metres of the beach and shopping streets and 17 kilometres from the city of Arrecife. 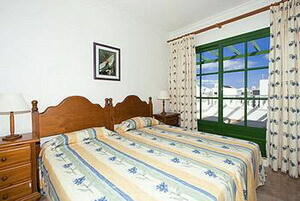 Lanzarote Arrecife Airport is seven kilometres away. 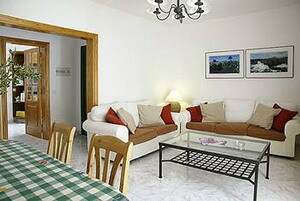 The property consists of nine two-storey villas of a modern Mediterranean design. 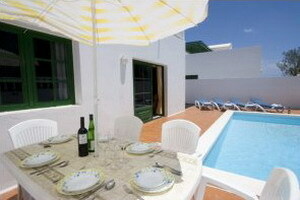 There are numerous restaurants and bars in Puerto del Carmen offering a wide range of Spanish and international dining. 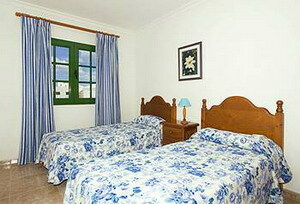 Many provide live entertainment including flamenco dancing and traditional folk music. 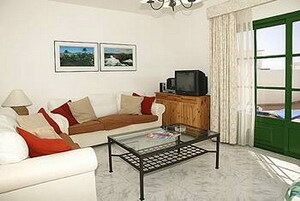 The nearest supermarket is 200 metres from the villas. A variety of water sports are available in the vicinity, including scuba diving and water skiing. Expert Tip: At six kilometres in length, Cueva de Los Verdes is one of the longest volcanic galleries in the world. Formed as a result of an eruption of Monte Corona, the caves were used as a hiding place when pirates ransacked the island. 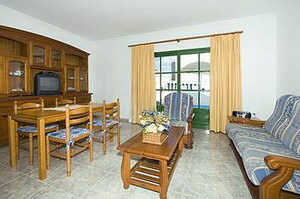 All villas have modern decor with quality dark-wood furnishings. 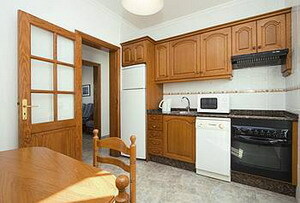 All villas have three bedrooms, two bathrooms and a kitchen with microwave, washing machine and dishwasher. The combined dining and living area has access to the terrace and is furnished with two sofas, satellite television and DVD player and dining table. 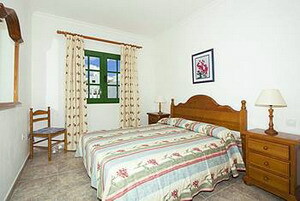 Outdoor amenities include a garden, barbecue, storage shed, private parking and a swimming pool.